Are you sick of that 9 a.m. to 5 p.m. daily grind? Do you want to do something you truly enjoy? If so, it might be time to consider different types of businesses and how to start one of your own. While there is a range of available sources for financing your start-up business, you may want to take a conservative approach and start with a small investment. Thanks to ever-advancing technology and access to worldwide customers through the internet, it’s now easier than ever to make your dream of starting a business a reality. 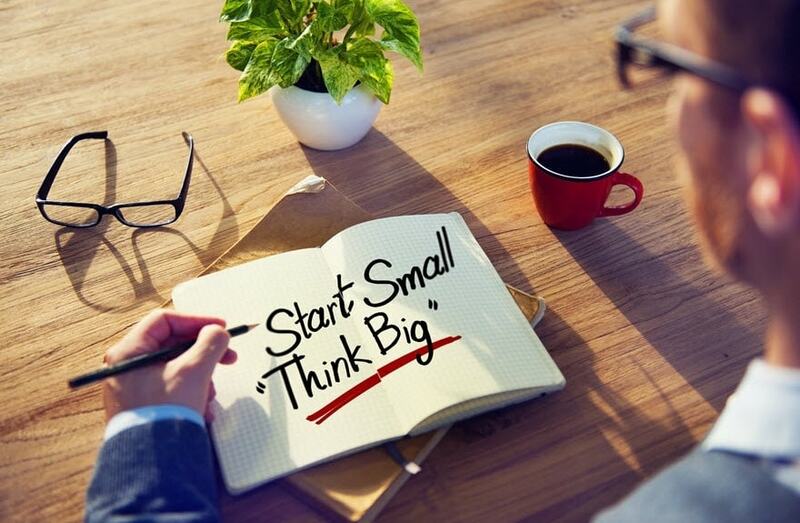 Here are five kinds of businesses you can start up with a small investment. There has been a sudden rise in technology, as well as a widespread introduction of Unmanned Aerial Vehicles (UAVs). The result is that drone piloting has become a significant business prospect with huge opportunity for future growth. Drone piloting is becoming widely adopted in a range of commercial industries. These include UAV surveying, mining, landfill, and photography. So the need for experienced and trained pilots is dramatically increasing. Get some drone piloting lessons to learn how to safely control your drone in an industrial or residential setting. You can then offer companies your services as a contractor. Be careful when operating your drone because local laws and requirements might restrict where you can safely and legally maneuver it. For drone pilots in America, visit the Federal Aviation Administration for more information. Australian drone pilots can find the relevant information at the Civil Aviation Safety Authority. UK drone pilots can read up on unmanned aircraft and drone laws at the UK Civil Aviation Authority website. If you want to start a business from the comfort of your own home and are great with numbers, consider starting your own online bookkeeping service. Bookkeeping doesn’t require a certification. You just need to understand numbers and learn how to perform basic bookkeeping tasks. These could include creating balance sheets, income statements, profit and loss statements, and various other periodic financial reports. There are a bunch of free online invoicing tools and online payment tools on the market to help you perform periodic bookkeeping tasks. Start promoting your services online and contact local small businesses that might need a casual bookkeeper. If you don’t mind working on location, visit local businesses and offer your services on a once-a-week roster. With the constant digitalisation of the world, the need for online marketing freelancers is becoming a necessity for businesses. Becoming an online marketing freelancer gives you the freedom and opportunity to work anywhere in the world while being paid to do so. Many online bloggers, social media consultants, and writers holiday around the world while completing online marketing tasks. Being a freelancer is a big opportunity for those that enjoy traveling. If you already have your own blog that has frequent monthly traffic, consider how you can make money from affiliate marketing. The world has adopted the internet, and there is a constant push for businesses to jump online. So becoming an online marketing freelancer makes for a great business. Before getting started, read up on 4 ways freelancers should act like regular businesses in order to improve your chances of business success. Providing sitting services can be a great income earner. People are happy to pay big bucks for someone with a reputation for excellent service. There is a range of services you could offer, such as housesitting, pet sitting, and even babysitting. It might take some time to get your name and business out there. But the costs involved with starting a sitting service business are minimal. Landscaping does require a small investment because you need to purchase a lawnmower and essential tools, such as a chainsaw. But there is a strong potential for business growth. You can expand your landscaping business to a wider range of services once your business starts to grow. You could provide home maintenance, tree cutting, pool maintenance, and so on. Consider the need for landscaping services in your area. If you believe there to be a shortage, start small and think big. Start your company with just the essential landscaping tools, and wait to purchase more advanced machinery until your business starts to boom. The best part of starting your own business is the freedom to start whatever business your heart desires. If you’re good at something, make it into a business. Create a graphic design business online, offer to tutor in your local area, provide laundering services on the weekend, or teach people how to use computers. With platforms such as Upwork, you can easily sell your services online across the world, making it easier to reach customers than ever before. Alex in a content creator and blogger who loves writing about actionable tips and recommendations for small to medium sized businesses. Alex understands that businesses need quick and easy access to quality and relevant information online and hopes to provide this information through publishing detailed articles for business professionals. nice article but as I am an online marketer I must say online marketing freelancing is the best way to earn money in a quick way. Hi, and Thank you for guiding us. Keep going and post many more blogs like this. Your post is always awesome and every time when i read your articles i feel good. You present it in a creative way. Thanks for your kind words Sophie! I’m glad you’re enjoying my articles, it’s great to know they are providing some support and information to businesses. Alex Hamilton, well described article about 5 Businesses You Can Start with a Small Investment, it will help to those people who are struggling with funds and wanting to start their businesses. I hope it helps and provides some idea’s for people wanting to start their own business. I’m glad you found the article useful! what a great post. Thankyou for posting. No business is small. Every business has its own capability. You should also consider Blogging + eBook selling as a business. They do not require big investment and can be started with hundreds of tutorials out there. A lot of what’s involved in online marketing these days is blogging and content creation. It’s definitely a hot spot for freelancers! The problem with the first one is that a lot of drones these days can virtually fly themselves so most people can just buy and fly themselves. But the others seem legit, especially the third. Online marketing is huge, the hard part is getting in to it to join the 10% in making money and not be the 90% who make nothing. Good article! Yep, online marketing is definitely a big one at the moment. The problem is many people aren’t able to position themselves as genuine and professional as there are many dodgy people in the online marketing industry. But once you’ve found your niche, you’ll likely become quite a lucrative business! many people want to start a business but for the large investment, they can not start their dream. so this small investment tips really help them. Starting a business can usually end up costing a lot, especially with many hidden costs you may not have predicted. Hopefully this article can provide some alternatives for new business owners wanted to invest a smaller amount into their new business. Very useful and creative. Your information is very interesting. I learned new information from your article. I will definitely bookmark this page for future reference. And also I will share this to my social media account. Thank you for sharing. Thanks for the comment and sharing my article. Thanks for sharing this info. it really motivates to start something of my own. However, would you throw some more light on marketing “Book keeping services” online. There are a lot of online freelancing websites out there. A few common ones include ‘upwork’ (you’ll find a link at the end of this article, and ‘fiverr’ (A quick google search will find this one). I hope this helps! It’s great to read your post again. I was busy with my projects, that’s the reason I was inactive a bit, specially reading & commenting was completely off. I completely agree with your points, Proper Investment in any kind of business is important these days, so I appreciate your efforts for giving these tips. Great work. Thanks so much for the comment Donna. It’s definitely vital to set yourself up to succeed with a solid foundation for the business you want to start! now i have some idea about freelancing and internet marketing. I’m glad to hear you found it useful! Freelancing is a great way to earn some money from the comfort of your own home (or while on a travelling adventure!). Thanks for the comment Kuzey. It sure is a great way to earn money, while usually working your own choice hours!